Why use Linux and Open Source? Today everyone including micropreneurs, IT professionals, and small businesses as well as “the big guys,” value open source for business continuity, quality, support, and control. Open source technology has emerged as a dominant force, challenging traditional models put in place by past sellers offering expensive exclusive programs. With open source, companies gain access to interoperable, reliable, and secure software that helps keep costs low both during implementation and over the long term. With these key assets, open source software can offer compelling benefits when compared to proprietary systems. With Windows SBS about to be put to rest, there will be seemingly endless needs for businesses around the globe to replace those ageing systems. With all of the choices available to them, there is now one that stands well above the rest. That choice is open source. It’s time. Free yourself and go open source. 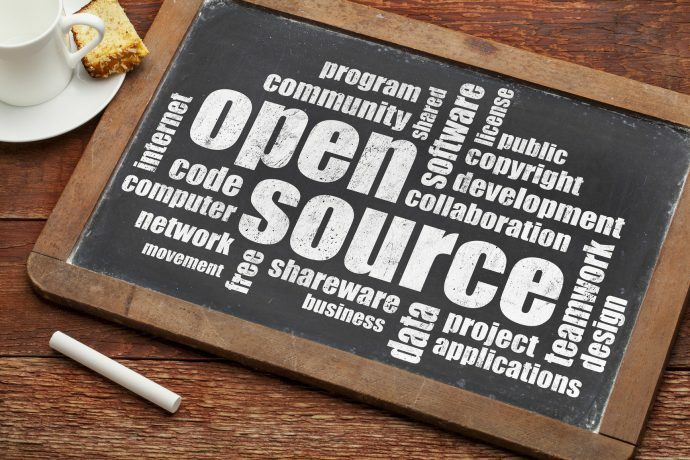 Contact us to find out more about how open source can help your business. It’s not just for the Nerds! Many years ago, the phrase ‘open source’ or ‘Linux’ conjured up images of earnest computer boffins sporting straggly beards, Grateful Dead T-shirts and a faint whiff of patchouli! But not anymore. Open source is now considered to be the most secure software on the market. And don’t be mistaken by thinking that there’s anything amateur about it. It is exposed to extreme scrutiny, with problems being found and fixed instead of being hidden until the wrong person discovers them. Technical giants such as Amazon, NASA, IBM, Microsoft and Google are now some of the keenest contributors, constantly improving and developing open source software. Open source has demonstrated a level of reliability and robustness under fast-changing conditions that, considered against the performance record of even the best closed commercial software, is nothing short of astonishing. Think open source software isn’t for you? Think again. There are obvious cost savings against proprietary software, but price is not the only advantage of open source software. It can deliver significant value in a number of other ways. So, let’s take a business-wise look at open source. Open source software has long had a reputation of being more secure than others. Open source applications are indisputably among the most secure on the market. Government departments, education, businesses – both large and small – are switching to open source. And we should be very pleased about that as our government alone spend over £200 million in just three years on Microsoft licences. When your business uses proprietary software such as Microsoft Windows and Office, you are on a treadmill that requires you to keep upgrading both software and hardware ad infinitum and with Cloud offerings such as 365, you will have even less control. Open source software, on the other hand, is typically much less resource-intensive, meaning that you can run it well even on older hardware. It’s up to you – not the vendor – to decide when it’s time to upgrade. Open source software is much better at adhering to open standards than proprietary software is. If you value interoperability with other businesses, computers and users and don’t want to be limited by proprietary data formats, open source software is definitely the way to go. Take the popularity of WordPress, for example. Born out of demand for elegant, well-constructed personal publishing, WordPress is one of the most acclaimed, widely adopted and customisable content management systems available. It’s an open source platform that has thousands of plug-ins and developers. Then there’s Libre Office. It’s an open source replacement for MS Office that performs 90% of the same functions and fully supports doc and docx formats. Many prefer it over MS Office for its simplicity and speed.